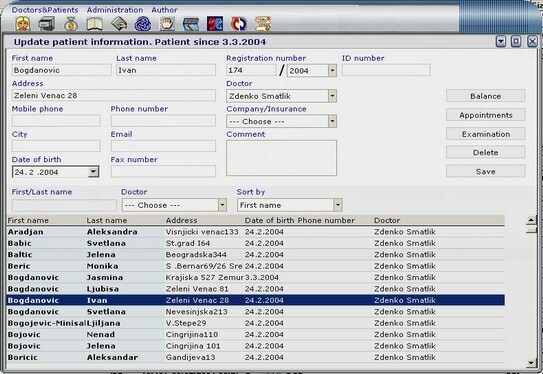 On this form you can set up new patient account, or change data for already created account. 3. Select dentist from dentists list. � Also you can perform search through patient database, just specify search criteria (patient first/last name, you can also select dentist - to see just patients that are associated to some dentist and select sort order for search result).